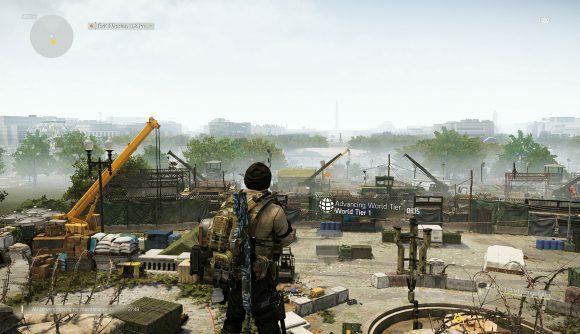 The first raid is on the way for Tom Clancy’s The Division 2, and an enterprising dataminer has scoured the game files and found some new details about its unique mechanics. It seems the raid, called Dark Hours, will include an array of special pickups called ‘PowerPlay’ items that can help tilt the balance in your team’s favor. Redditor kevindavid40 first posted his findings on the raid a couple weeks ago, and now he’s posted a follow-up that details the raid’s secret, limited-use PowerPlay items. These items hidden and can be found using keys carried by elite enemies that have a random chance of spawning in the raid, so there’s no guaranteed way to find them. kevindavid40 says these elites appear somewhere in the raid and you’ll have a short window of time to take them down. If you miss the window, tough luck – they’ll only ever appear once per raid. The list of PowerPlay items includes a new signature weapon, two new characters, and a collectible. They’ll only be available to use within the raid, and only for a limited amount of time. There’s not a ton of information on any of the items, particularly the signature weapon, so we’ll have to see how these things work in practice when Dark Hours comes out. We still don’t have a release date for Operation Dark Hours, so it’s an open question when we’ll actually get our hands on it. kevindavid40 also shared some additional details on the raid’s mechanics. The first encounter takes place on Arlington Bridge, and as your team reaches the far side, one of the agents will be marked as ‘hunted.’ This will mean enemies will focus their attention on that agent, but crucially, that agent will be the only player who is able to see a hidden escape route. Also, you won’t be able to use skills while on the bridge, although you will be able to find ‘intensifiers’ that increase the damage of every bullet you fire for a limited time. The eight players attempting the raid will also have to split up into teams of four at a couple points, and they’ll have different objectives to pursue during these times. The raid culminates on a runway, and this is one of the points at which agents will have to split into two teams to flank the boss. It’s not clear from kevindavid40’s post how the boss will work, but he says the character won’t actually be firing back at you – the boss is mostly busy moving crates onto a cargo plane. However, he’s accompanied by a lieutenant who has a special ability that can completely wipe your team. Again, it’s not clear when Operation Dark Hours is going to arrive, and all of the datamined information is subject to change until it does. It sounds like it’s going to be a pretty stiff challenge.